Born 9 August,1890, Alajärvi. Died 31 July, 1958, Kirkkonummi. Eino Kaila chose not to follow other members of his family into the priesthood, electing to pursue an academic path instead, principally in psychology and philosophy. Kaila began his studies in theoretical philosophy at the then Imperial Alexander University in 1908. He complemented his studies in theoretical and practical philosophy with aesthetics, literature, history and political economics. But Kaila’s academic career truly began with a strong emphasis on psychology. His dissertation, Über die Motivation und die Entscheidung, discussed experimental psychology. In 1916, Kaila completed his doctorate and married the painter Anna Lovisa Snellman. Eino Kaila’s main contribution to the world of science in Finland was the development of philosophy and psychology teaching at the University of Turku and the University of Helsinki. He founded the first psychology laboratories, trained the next generation of researchers in his field, and contributed to the establishment of a professorship in psychology at the University of Helsinki. He also brought international trends in the field of psychology to Finland, such as experimental psychology, Gestalt and personality psychology. 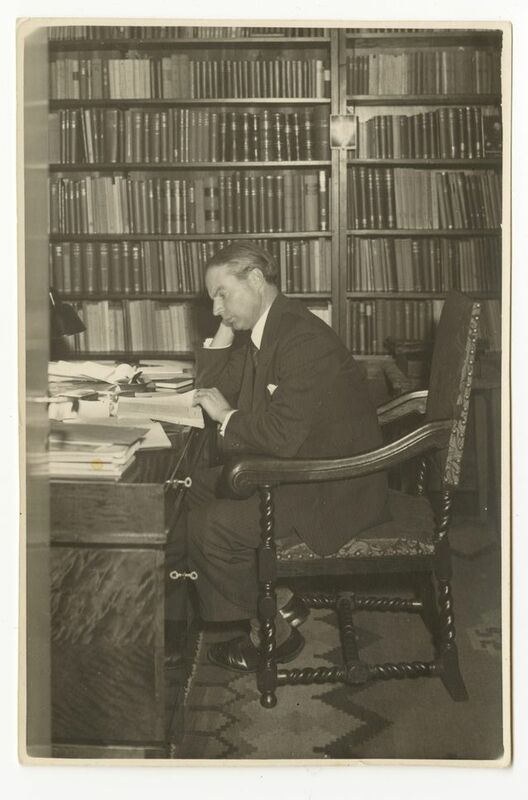 From 1922 to 1930 Kaila was the first professor of philosophy at the University of Turku, but rose to become Finland’s leading philosopher when he returned to the University of Helsinki as the professor of Theoretical Philosophy in 1930. The main thread of Kaila’s philosophy was to clarify our understanding of our place in the world. Eino Kaila’s international work directed the development of the field of the philosophy of science towards logical empiricism. Kaila was also interested in natural philosophy of nature and he drew upon the natural sciences in his research. His international contacts at universities in central Europe, particularly those of the well-known Vienna Circle, were important to him. Eino Kaila’s 1934 work Persoonallisuus (‘Personality’) was of scientific importance, but also had a broader philosophical impact. The work has been described as an excellent example of wide-ranging scientific research, combining insights from the humanities and the natural sciences. One of Kaila’s most important works in the field of philosophy was Inhimillinen tieto (‘Human knowledge’, 1939), which presented an overview of logical empiricism. Kaila’s most significant administrative achievement at the University of Helsinki was working with Edwin Linkomies to establish the Faculty of Political Science. And at Kaila’s initiative, in 1951 psychology gained its own professorship at the University of Helsinki. Professor Eino Kaila is described in several historical sources as an astute and debonaire personality, who was at his best when lecturing. The fascination with Kaila’s lectures is said to come from the dramatic gestures and movements that he employed whilst addressing his audience. Some well-known students of Eino Kaila at the University of Helsinki are Georg Henrik von Wright, Oiva Ketonen, Erik Stenius, Pertti Lindfors, and Jaakko Hintikka. One indication of professor Kaila’s skills as a university teacher is that between 1990 and 2012 the University of Helsinki awarded the Eino Kaila Prize for distinguished teaching. The first winner was Esa Saarinen in 1990 (see a list of the other winners here). The Eino Kaila Prize is no longer awarded because of a desire to move away from rewards for individual teachers and toward a wider focus on the community. In 2013 the University of Helsinki established the Teachers’ Academy. Being selected for membership into the Teachers’ Academy means that the University community recognises the teacher’s qualifications in teaching and scholarship. By Written by Riitta-Ilona Hurmerinta. Translated by Joseph McVeigh. Revised by John Calton.